The civil ceremony package has been developed for couples who are looking for a legal marriage in the Dominican Republic. This package includes everything you need for a perfect civil destination wedding in the Caribbean. From the beginning on we assist you with the necessary paperwork, translations and legalizations. We meet with the lawyer to safe you the hassle of travelling to meetings, organize the official judge for your ceremony and also bring a translator for a your perfect destination wedding. If you need witnesses as well we would love to organize them (required for a civil wedding in the Dominican Republic). Decorations for the ceremony, appetizers and sparkling wine will complete your dream destination wedding in this beautiful country. You can choose between the following décor styles that have been meticulously designed to meet the most stringent demands of our customers. We attend to every detail in order to create a unique ambiance. This décor has been designed for nature lovers, using natural decorative elements such as branches, twigs, hemp canvas, natural flowers and other elements provided by the environment. The concept developed for the Sea Breezes décor evokes the freshness and simplicity that predominate in the Caribbean, combined with the unique purity of white. We offer an interesting and romantic mix of marine elements and floral details that will make you and your guests feel wrapped in the exotic breezes of the Caribbean Sea. I am interested in this wedding package! The symbolic ceremony package has been developed for couples who are looking for a celebration of their marriage with family and friends in the Caribbean. This package includes everything you need for a perfect destination wedding. From the beginning on we assist you with the planning of your ceremony like music choices and detail arrangements with your master of ceremony. A stylist and a colorful bouquet for the bride as well as a fitting boutonniere for the groom are already included in your wedding package. Decorations for the ceremony, appetizers and sparkling wine will complete your dream destination wedding in the Dominican Republic. 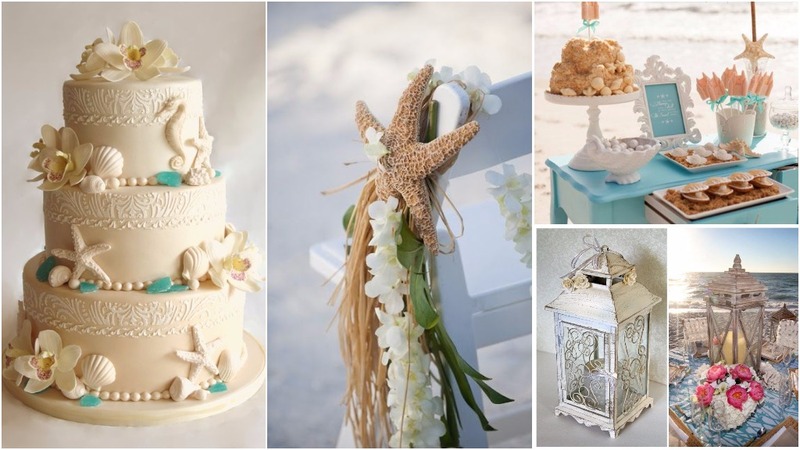 The concept developed for the Sea Breezes décor evokes the freshness and simplicity that predominate in the Caribbean, combined with the unique purity of white that will create a perfectly light atmosphere for your destination wedding in the Dominican Republic. We offer an interesting and romantic mix of marine elements and floral details that will make you and your guests feel wrapped in the exotic breezes of the Caribbean Sea. We use special table linens in blue and white for the different areas. The guest tables are covered with a whimsical white fish net and equipped with eight white Tiffany chairs. We are sure that this set-up and decoration will cater for a unique destination wedding, but we are happy to design all details according to your individual wishes to make your Caribbean dream come true. 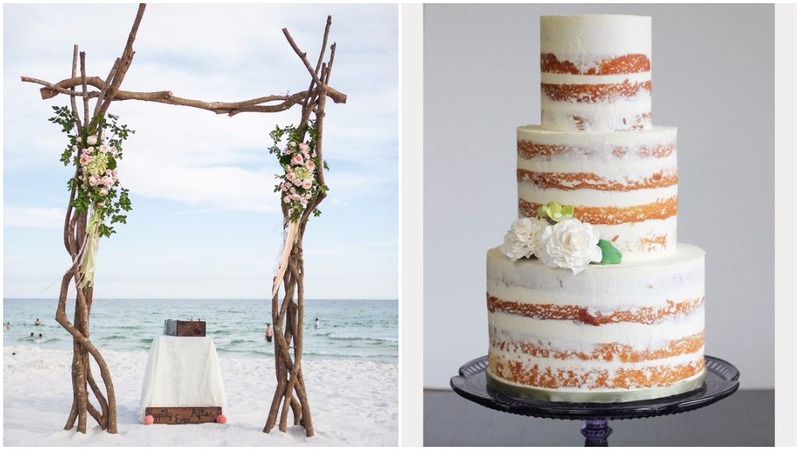 A rustic destination wedding, embracing simplicity and connection with nature, immerses you and your guests into a completely natural world where all elements come together to create a romantically pure environment that suggests tranquility. This décor has been designed for nature lovers and uses natural decorative elements such as branches, twigs, hemp, canvas, natural flowers and other elements provided by the environment. The rectangular guest tables for eight are dressed in fine white linen with a small table runner of hemp. There will be brown Tiffany chairs, brown rattan charger plates and white napkins decorated with rustic elements. The welcome table is an old fashioned wooden Parsons table, with an arrangement of alstroemerias (Peruvian lily), snapdragons and roses, accompanied by candles to convey a romantic touch. On it there will be the guestbook and some exquisite pastries and tropical fruit to greet your guests, prepared by one of the most prestigious catering companies in the Dominican Republic. Next to the welcome table is a small decorative ladder of natural wood adorned with tiny baby’s breath arrangements and mini lanterns. The buffet and dessert tables are dressed in special white and hemp table linens and decorated with high and low arrangements as well as natural tree cuttings of various sizes as ornaments. 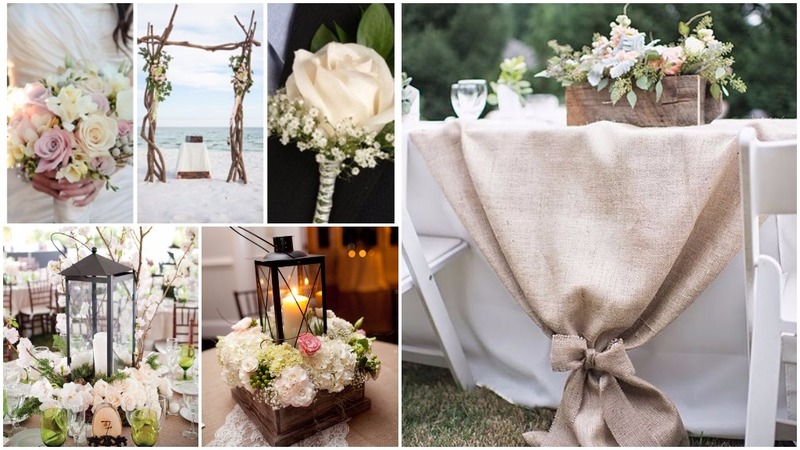 The wedding ceremony area is composed of a beautiful rustic gazebo made of wood and flower arrangements, a small rustic table for the officiant and brown Tiffany chairs decorated according to the theme with natural flowers. The bride’s bouquet is made of pink and white peonies, ammi majus (lady’s lace), and greenery with rustic rope detail, as is the groom’s boutonniere. 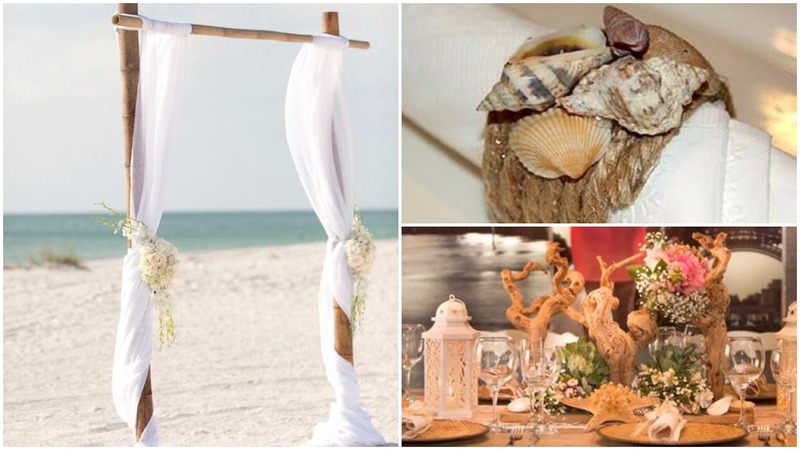 Even though we are sure that this set-up and decoration will cater for a unique destination wedding in the Dominican Republic, we are happy to design all details according to your individual wishes to make your Caribbean wedding dream come true. Our décor for this destination wedding package is characterized by playing with vintage elements, soft colors and touches of modernity. For the guest area we use wooden Tuscany tables, seating 10 people each. They are accompanied by champagne colored Napoleon chairs. The tables have no tablecloth but a table runner of antique lace. Their setting includes centerpieces, vintage charger plates, themed napkins, printed menus, table numbers and specially designated chairs for the bridal couple. Vintage string lights illuminate the whole area and create the perfect atmosphere for your Caribbean wedding. The entrance area consists of cylindrical tables and a stand with place cards for the guests. An easel with a customized wedding message will greet them. 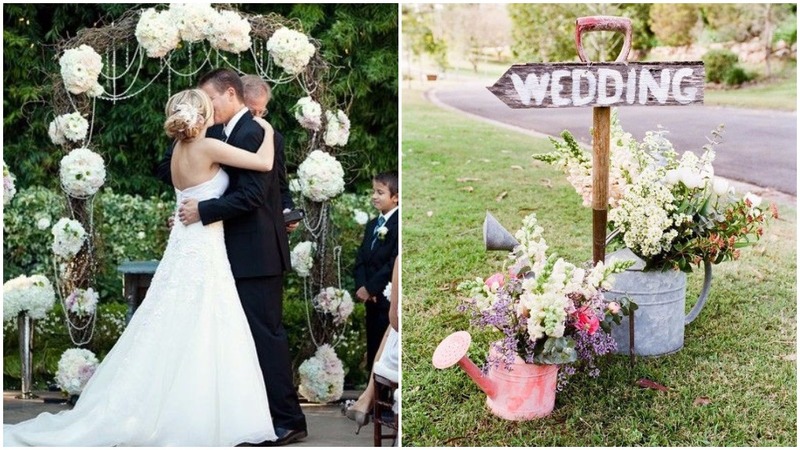 Flower arrangements in vintage glass containers, vintage drums with flowers and retro suitcases piled up and decorated with a MR & MRS sign will complete the tone. 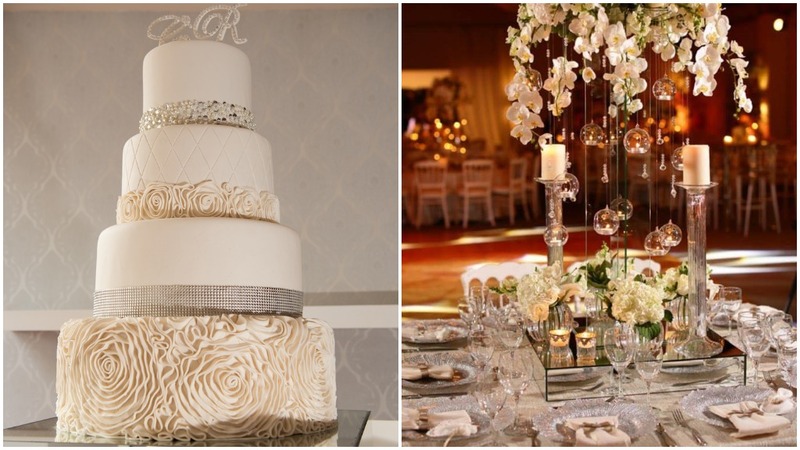 For the buffet and dessert tables we use wooden tables following the same décor. 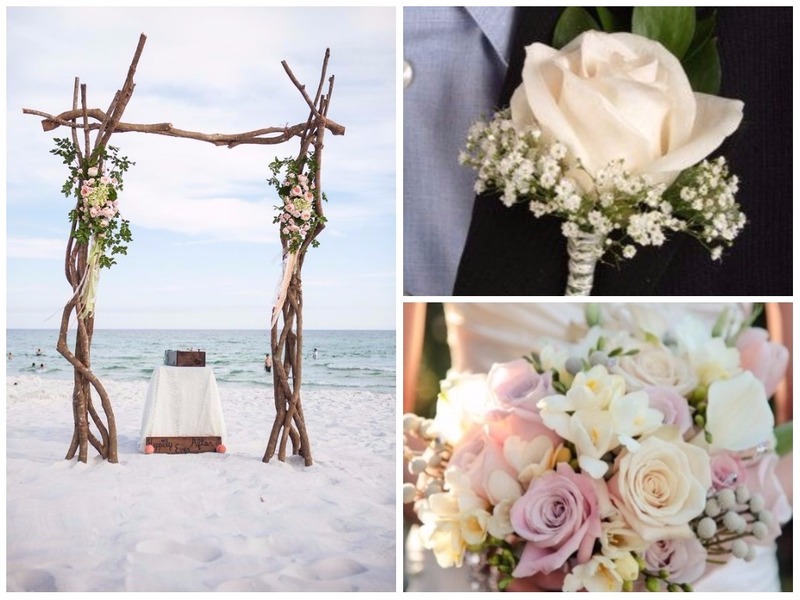 The ceremony area consists of a rustic wooden arch decorated with dry soldierwood, fresh flowers and strings of pearls. It features a Parsons table with floral arrangement, decorated champagne colored Napoleon chairs, and vintage signage. The area is decorated with giant watering cans with flowers. The bouquet and boutonniere are made of flowers such as roses, hydrangeas and lisianthus, with silver details, lace and pearls. Even though we are sure that this set-up and decoration will cater for a unique ceremony and wedding reception, we are happy to design all details according to your individual wishes and will make your dream wedding in the Dominican Republic come true! In the conception of this décor we seek to combine elegance with simplicity. Although we use refined decorative elements, the impression is of relaxation and refinement. Committed to the motto “less is more” we use neutral and cool colors, while transparent elements add a modern touch to your destination wedding. For the guest area of your wedding reception we use round white wooden tables seating 10 and transparent chairs. The table decoration consists of a centerpiece, silver charger plates, themed napkins, printed menus, table numbers, crockery, cutlery and glassware. The entrance area features a glass Parsons table with a centerpiece of hydrangeas, lilies, snapdragons, lisianthus, orchids and foliage, tall candelabras with candles, single candle-holders and delicious mini-desserts prepared by one of the most prestigious catering companies in the Dominican Republic. The buffet and desert tables are also themed with special elements following this décor. 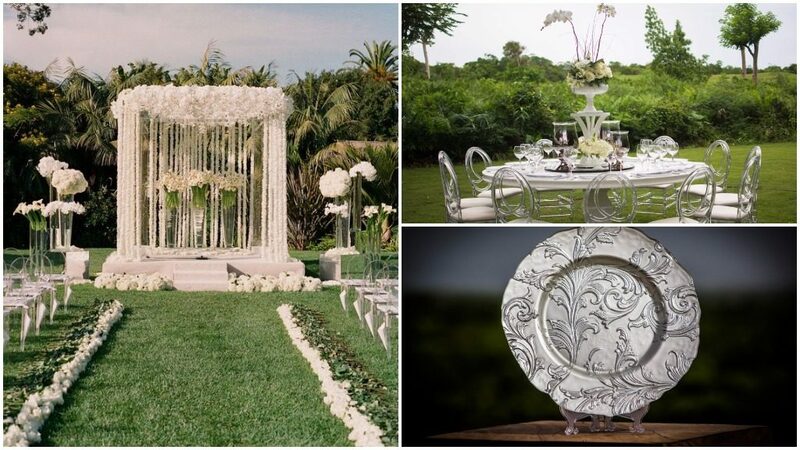 The ceremony area is made of a white 6 x 6 foot gazebo, adorned with white garlands. The top front is fully covered with white hydrangeas. Two tall arrangements with calla lilies, hydrangeas, roses and lisianthus are placed in square glass vases, three tall cylinder vases with calla lilies complete the gazebo area. 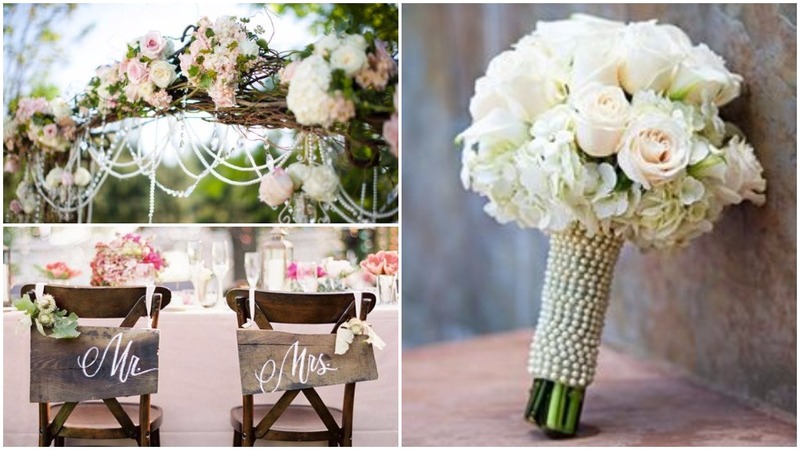 The aisle is bordered by carnations and daisies, and the chairs for the guests are transparent and armless. 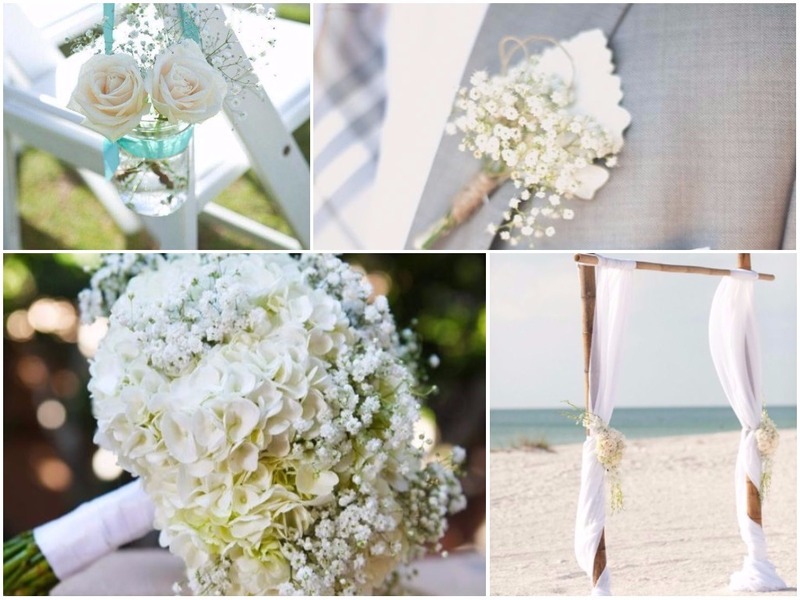 The bridal bouquet and the groom’s boutonniere are made of white peonies with silver details. The bridesmaids’ bouquets are made of white roses and orchids with white ribbons. All areas will be illuminated with LED lights. We are sure that this set-up and decoration will cater for a unique destination wedding in the Dominican Republic, but we are happy to design all details according to your individual wishes to make your Caribbean dream come true. Contact our wedding planners and let them know about your wishes and expectations – we will do our best to exceed them. Are you even looking for an accommodation? Let us find the perfect place for you!